This article describes how to use the Trim Video feature to create a new video clip from a segment of an existing video. For the best experience using the Trim tool, we recommend using either the Chrome or Safari browsers. 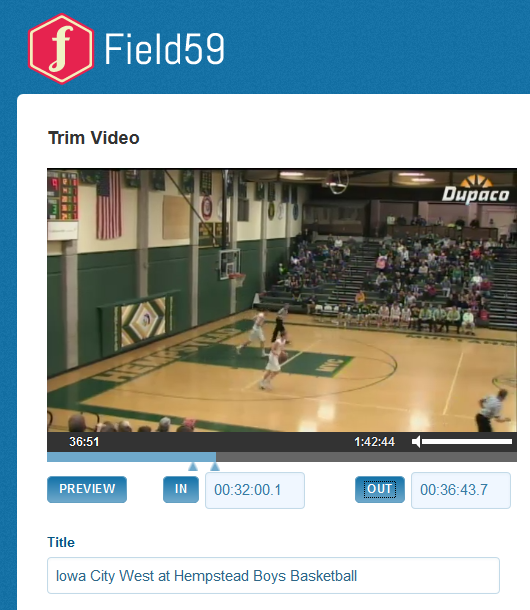 Trim Video can be used to cut off periods of time from the start or end of a video. Any video can be trimmed, but Trim may be most useful for removing video from before or after a live stream recording using the Live Event feature. To access Trim, your account must first be enabled. (Contact Field59 Support to enable this feature.) Next, find the video item you want to trim in the list view list view, then hover your mouse over it, click the gray button that appears in the upper-right corner and select Trim from the drop-down menu. You’ll be taken to the Trim Video page. On the Trim Video page, the video you have chosen to trim loads at top left. All data about the video (title, keywords, etc) is copied over but we recommended you change this information as needed for the new video that you are creating, so you can distinguish it from the original recording. Begin playing the video, then click on the blue progress bar to jump to the points where you want your new video to start and end. Click the In and Out buttons when you reach that point. Or, you can simply let the video play and hit In and Out at the right moments. Manually enter the In and Out points in the timestamp fields to the right of their associated buttons. Be sure to click out of the timestamp fields to ensure your entered time updates. When you are ready to create the video, you have two save options. Clicking Save and Clip Another will create your video, but reload the same Trim Video page. 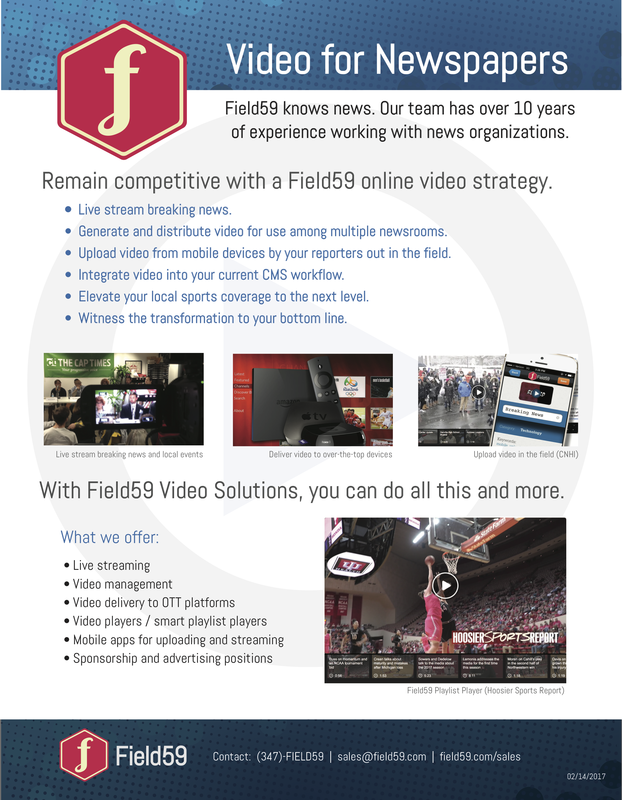 This allows you to create multiple new videos from the same source video. This is useful if the video is lengthy and you want to make lots of individual clips. The Save and Done button will create your video and exit out of Trim Video. After exiting out of Trim Video, the video(s) you created will go through the same encoding process as any other video ingested/uploaded.